You must make reservations at least 5 minutes in advance of the time at Restaurant Medure - Ponte Vedra Beach. We have two rooms, a semi-private Round Room that seats 10. Also, a private dining room that can seat as little as 10 guests or up to 40 guests. The emphasis at Restaurant Medure is on fresh seafood and game, creatively prepared with Mediterranean, French and Asian flair. House made pastas and desserts are a highlight on the menu. It was another 5 star experience at the end of a challenging work day. Thank you, Medure, for being a refuge of civility and fine dining for us and other local devotees! 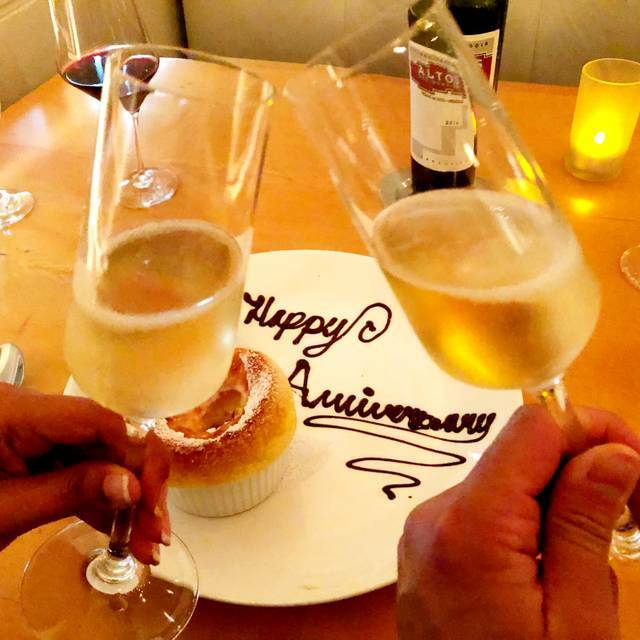 We go out on monthly date nights to ensure we are connecting outside of kids, daily life... the ambiance and service were impeccable, but the food was lacking significantly for the price. It was a let down and almost left us both hungry. While the scallops were cooked perfectly they lacked flavor and the sides were lacking in flavor also. The carpaccio was bland and we love carpaccio so that was a big let down. Overall we were just let down that this is where we spent our monthly date, considering the price we would’ve expected much better flavors/taste. Probably won’t return. The food at Medure is delicious, but if all you ever see is the dining room, then you're missing out! Bartender John will make you a fantastic cocktail, whether it's an old favorite or something brand new. He'll guide you through the menu and give personal recommendations on which dishes are not to be missed. We had such a great dinner at the bar, that we decided to come back the following night - and we were not disappointed!! Highly recommend an Old Fashioned, Artisan Cheese Plate, Caesar Salad, Chicken w/Gnocchi or the Beef Tenderloin. 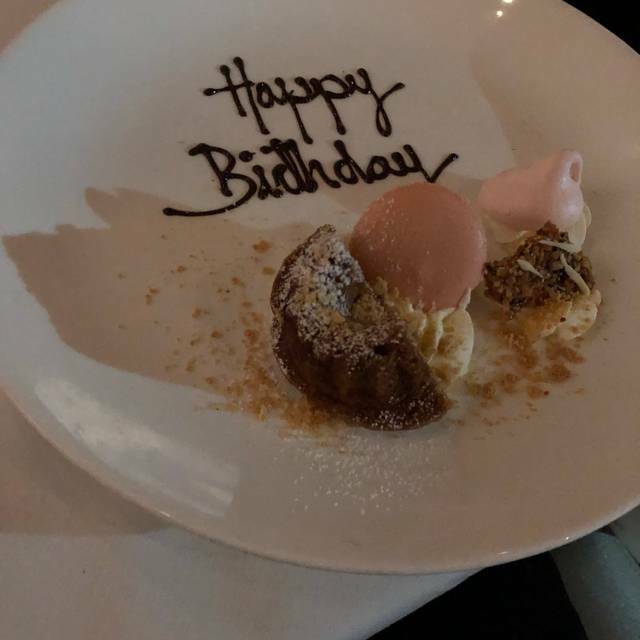 We had a nice experience with one exception....we were told we could not order the grand marnier souffle as chocolate was THE flavor of the night! We ran into friends who DID have the grand marnier soffles! Not a happy husband! First time at this restaurant. I was told it was the best restaurant near the TPC Sawgrass and that there weren't many other good restaurants. Seeing the high ratings made me skeptical. Well, as it turns out this restaurant is outstanding. The menu is not too long but each option is unique. My wife and I started with the beef carpaccio and the beet terrine. Both were great but the carpaccio was outstanding. 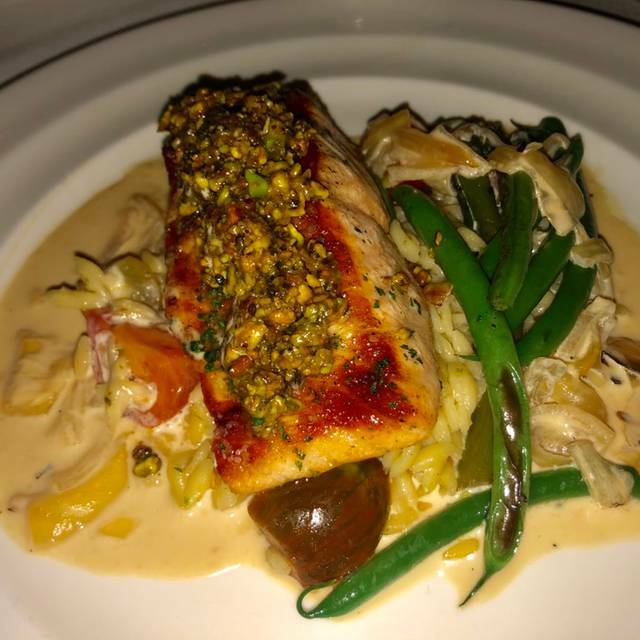 Next we had the salmon. Seemly simple and maybe boring, but at this place it was outstanding. Of course the andouille risotto was incredible. Also, the wine list is well done. Great variety between Californian and Italian. Most prices range between $60 and $160 which is really smart because you can get a great bottle and not break the bank. But here's the differentiator, the service. Danny our waiter had a thorough knowledge of the menu, he had good recommendations and he was polite and professional. Additionally, he mastered the one thing most don't...he was attentive while not over bearing. A great balance. I highly recommend this place. Excellent short ribs and grouper and they did a great job of accommodating my special dietary needs! 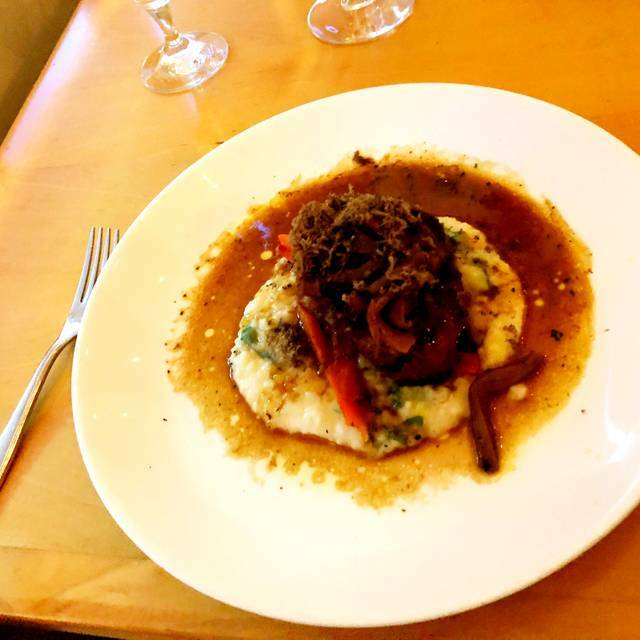 My husband and I joined two friends for a drink in the bar and dinner in the dining room. Happy hour offers very well-priced cocktails although the happy hour wine, Canyon Road, is a bit disappointing for a restaurant of Medure's stature. Service at dinner was outstanding as usual although the food was not the usual 5-star affair. The étouffée appetizer was a bit bland and my pasta with sausage was not as hot (in temperature) as I would have expected. My husband said his eggplant and lamb dish was good but nothing exceptional. I selected a Cahors for our wine and it was excellent (marked about 2 1/2 times). The other couple, who were visiting Medure for the first time, were very pleased with their meal as were we -- must not as much as usual. Always a treat, amazing food, great wine selection and fantastic service. 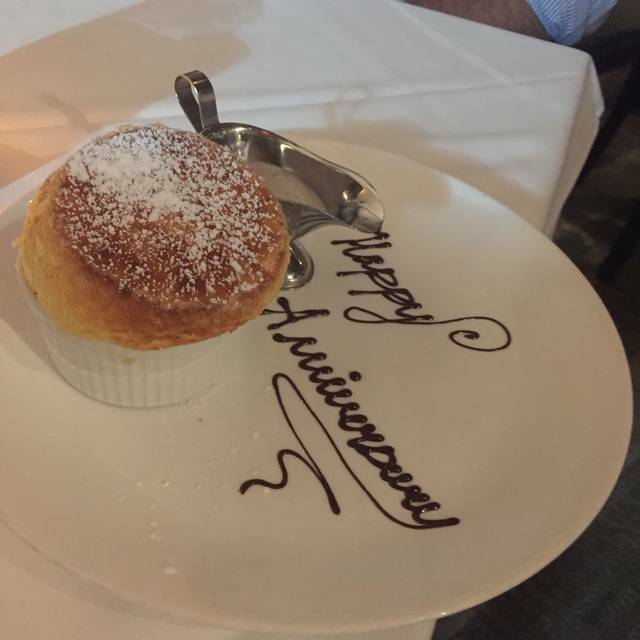 Fantastic dining experience, get the souffle! Very friendly, great appetizers and main course, bread putting dessert just OK.
Everyone was very professional. Had a great waiter which was very knowledgeable concerning the specials and other orders. We had a wonderful time. A solid 10 evening. Excellent service from very knowledgeable staff. Food was outstanding. The soufflé for dessert was over the top! 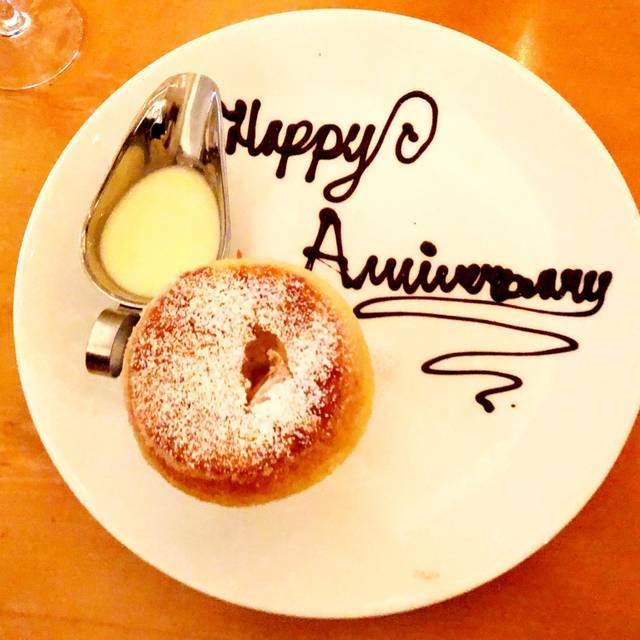 Had a wonderful anniversary dinner! Great food, fun seating (sat near the kitchen) and excellent service! Good for a special occasion. Most importantly I must say the food is the most important aspect of my meal. Medure always delivers a top notch culinary experience. I always look forward to going there and having what is served on my dish is always delicious. Love the atmosphere, white table cloth on table and staffing could not be any nicer. Polo, Marshal, Jonathan, etc. are utmost welcoming and see that our dining experience is memorable. You’re our favorite restaurant in Ponte Vedra Beach! Second time here and excellent once again! Great dining room, service, wine and dinner! We received a wonderful gift card to Medure for Christmas and were excited to go and take another couple with us.. Since it was our first time there we didn't realize the necessity of requesting a certain table when we made or our reservation. Our table was right next to a kitchen entrance and my chair might as well have been in the kitchen. Waiters walked by our table constantly all evening - at one point a busboy carried a stack of plates over my head. It was noisy and unpleasant. When we spoke with the girl who sat us she said there was no other available table in the restaurant. The food was good and our waiter was wonderful but that could not make up for the location of our table. 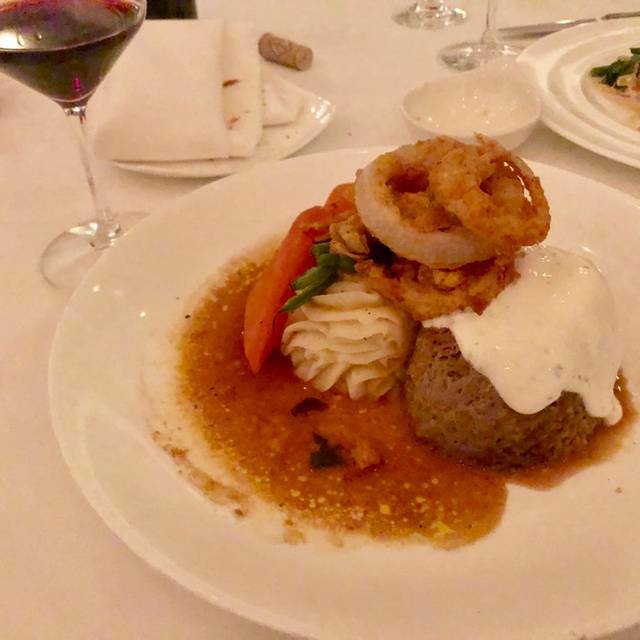 Casual chic ambiance, great food and friendly service... the wife and I wanted to spend some quality ‘us’ time in reasonably luxe surroundings with some nice food ... and Medure hit the spot perfectly! We’ll be back!! We had a great meal, the service was excellent. All and all a great night out. We’ve lived in the JACKSONVILLE area for 5 years and This was the best meal we’ve had. Excellent food and service. We absolutely loved this restaurant! It was nice to see the professionalism of the personnel as well as enjoy their pleasant service. The food was the best we’ve had in the area. The only reason I gave “Ambiance” 3 stars was because they sat a group of 8 celebrating a birthday complete with balloons and presents next to us. We were having an intimate Anniversary dinner which was promptly spoiled. Our second time at Medure. Our server was amazing and the food was outstanding. For what you get from your first walk in to when you leave it’s all well worth it and the cost is very reasonable. We totally LOVE our dining experience at Restaurant Medure! 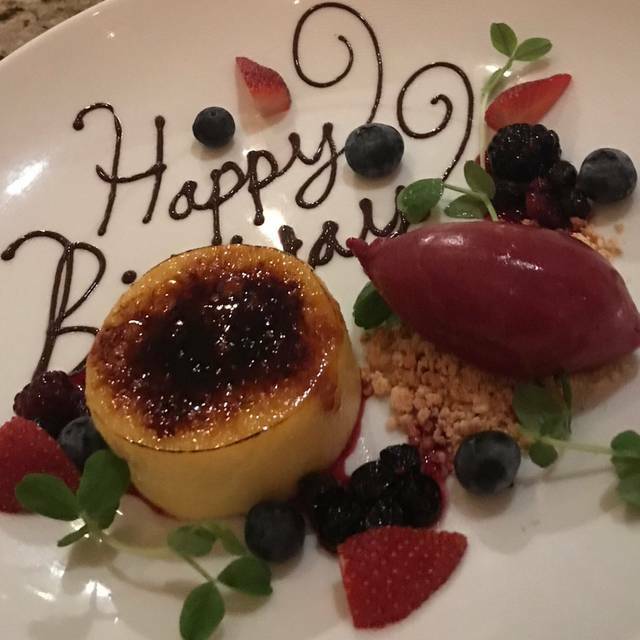 The food and service are consistently exceptional. You must try the Beef and Goat Cheese homemade ravioli.....delicious. And the Fish Francaise..outstanding. Our waiter Kevin is such a joy! We love when he waits on us because his approachable manner is so engaging, and his expertise is amazing. Last weekend in Ponte Vedra had to check this out. Heard lots of great things about this place. First, our waiter, Jeff was very knowledgeable and friendly, but not hovering. The decor is lovely. Comfy cushioned booths. We shared the caesar salad which was very fresh and dressing was tasty. My husband had the fish special, and he thought it was well prepared. I had the whole wheat pasta dish. The taste was very good, but I decided the texture of the noodles wasn’t appealing to me. Delicious assortment of homemade breads were a plus. The food was delicious and the staff was perfectly attentive. Our table for two was originally seated in a small room with a festive crowd, but when they sensed our displeasure, they quickly offered us another table elsewhere in a quiet setting. Everyone was friendly and knowledgeable of the menu and wines. We come here once a year when we return to Ponte Vedre, and last night we were reminded why we do. First time I have had a less than perfect meal at Medure. Service was great. Wine was great. My special entree was sub par. I will continue to frequent Medure in the future. We got there a little early but it was, we both like to people watch. One of the to 5 meals we have ever made, well worth the drive. Talked with the owner and found out how to get seats at the chef's table next time we are in town. We dined here for the first time on our wedding anniversary. Restaurant Medure definitely delivered. The food was incredible and service wonderful. You have to try the soufflé for dessert. We will be coming back! The service was excellent tonight! We had our favorite appetizers—beef carpaccio, escargot and the tuna tartare. For the first time I had the beef and goat cheese ravioli ohhh it was so good!!! Lovely, quiet setting with attentive but not intrusive staff. Food was excellent and presented beautifully. I would return. The past course was served with the entre. When we asked to take it back and when it arrived back it was dry and cold. They did take it off the bill which we appreciate but we didn't get our full meal and experience.